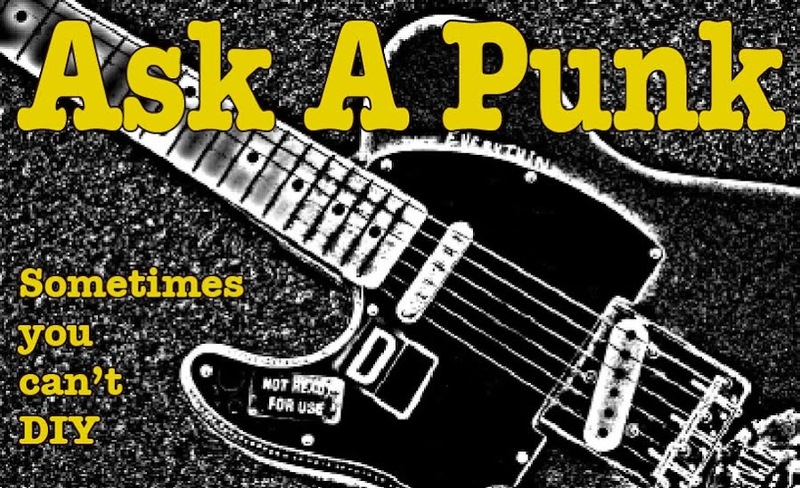 Ask A Punk: The Eternal New vs. The Eternal Night. The Eternal New vs. The Eternal Night. I'm pretty sure I'm older than you. I hung it up years and years ago. The last time I played in a band it was I think 1988. I know it was at least 20 years ago. I don't miss it and my wife and kids - three of them - really don't know much about it. There weren't as many pictures taken in those days. Why am I writing? I guess because I feel like I'm in a no-win situation now. I know I'll never like any new music I hear as much as I once liked my favorite bands, but at the same time, all those dozens, probably 100s of "favorite albums" are so deeply burned into my brain, that I don't feel like I have to listen to any of them ever again... and if any of those songs were to come up on the radio - which never happens of course - I'm not so sure I wouldn't flip the channel anyway. I know listening to new music would be a mistake too. I would complain that it wasn't as good or if I DID happen to like it I would mortify my daughters. 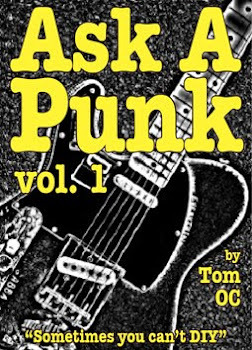 I guess I'm asking, what can an old ex-rocker - I think I pre-date even punk, really - do with this unfocused yearning for - SOMEthing worthwhile? - Rock-a-papa. The first time I was reading along through you email I thought you were going to ask me what you should listen to now... but when I got to the end the question was a lot more open-ended and vague than I expected. Maybe you MEANT to be more specific or maybe your question was more existential in nature... I can only guess... but since bits/bytes are more-or-less free, and god knows I've got the time, I'll take a stab at answering the question both ways. If you're tired of your favorite old albums but don't want to suffer through whatever your kids THINK is quality music (a wise choice by the way) there are, I'm sure you, know a million other sounds and bands you could explore here on the internet. You could go the 'tracing the roots' route - Where you dig into the history of your favorite bands and determine who THEIR favorite bands were... and then you investigate THAT music. Or you could just let the computer spin the musical roulette wheel by going to pandora, creating a few 'personal stations' and then waiting to see what similar bands you've never heard of get added to 'your' station. ...or you could just surf myspace band pages or you could randomly pick a country and google for 'bands' in that country... or if you want to keep it in the US, pick a state or a city and search around to see what bands are currently hailing from that zip code. I'm betting that I'm not telling you anything you don't already know here... which makes me think your question WAS more vague and existential. The only guitar I ever bought "new" is just a few years away from being officially considered "vintage." I was listening to a 'TEDtalk' podcast yesterday that told me a 62 year old person ages 125 times faster than a 12 year old does... what does this all mean? It means Time (with a capital "T") is like a great white shark - a remorseless eating machine and what it is eating is us and everything else. That sense of 'yearning' you're feeling, which is a more positive term than 'anxiety' is the feeling of that accelerating decline and of wanting to cram more new things into your life while you still have the energy to seek out new things, experiences & sounds, appreciate them and somehow tie them into the long (but much too short) running narrative of your life. Does that about sum it up? ...or am I being a blowhard here? THAT is another good reason to keep seeking out new things and experiences... if you're always learning about something new, that delays the moment when you'll start acting and sounding like an expert (or more accurately: THE expert) on only the things you already know... and that leads to rigidity in the thinking and in the body and in the soul. So you've got the right idea... keep pushing outward in all directions to see, hear and learn new things. This keeps you moving forward. Just make sure that you're not doing all this INSTEAD of connecting with your daughters and with the people who are important in your life. Sometimes the 'Quest for knowledge' or other grand obsessions (or even all-consuming hobbies) can be distancing mechanisms people use to protect themselves from connection and intimacy ... and that can be really sad because human connection is really what keeps us alive, subtle and timeless.